A portfolio of selected works by gallery artist Ned Pratt is featured in the current issue of Prefix Photo No. 38 – The Canadian Vernacular, Fall/Winter 2018. 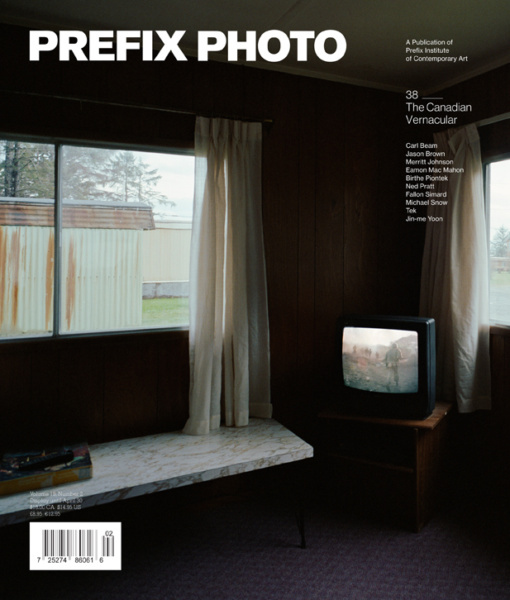 Prefix Photo is published twice annually by the Prefix Institute of Contemporary Art in Toronto and is “dedicated to contemporary photography and related arts”. It is available by subscription, bookstores, and newsstands. We have a gallery copy available for viewing.